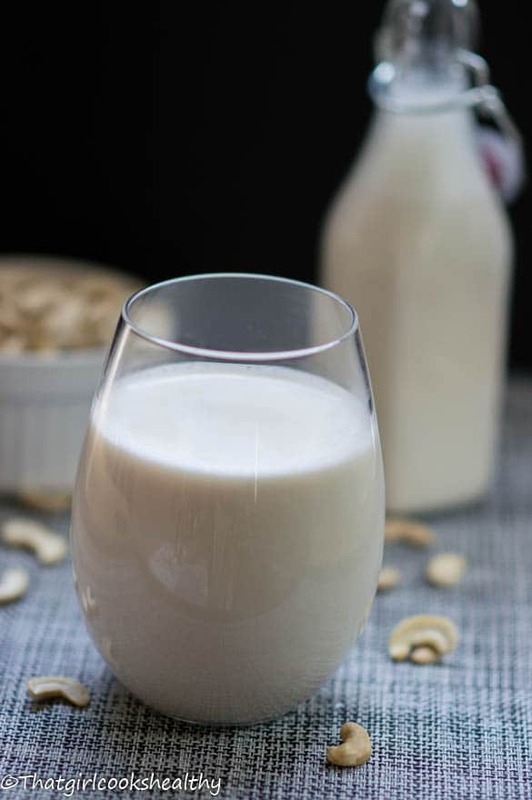 Homemade cashew milk recipe couldn’t be made easier for vegans or those who are dairy free. This 4 ingredient method delivers the tastiest plant based milk. If you’re a fan of homemade cashew nut milk then you’ll be pleased to know I have another addition to add to the batch. Scroll through my recipe index and you’ll see a small selection of nut/seed milks – pistachio, almond, quinoa and coconut milk. My favourite so far has to be coconut milk, you guys probably would have already known by the number of times you see coconut milk featured in my recipes. The truth be told, I’m slightly biased with this particular nut milk since it’s something I grew up on. Growing up in a Caribbean household, you simply couldn’t escape it, whether you liked it or not. We do tend to incorporate large quantities of coconut milk in island food, it’s simply unheard of to add almond milk to say rice and peas (also known as peas and rice) I some how don’t think it would be complimentary, I’d give that one a miss. More recently people are making informed choices about what they consume, in other words they have decided to take an active stance in what they ingest. Well my website act as a vehicle for anyone who wants to make food from scratch. While I’m don’t proclaim not a nutritional guru with a doctorate, I can certainly convey some of things I’ve learn over the years and skills which I utilise on a daily basis. I really want people to enjoy cooking and learn why it’s important to have a good relationship and a better understanding of what’s being ingest. 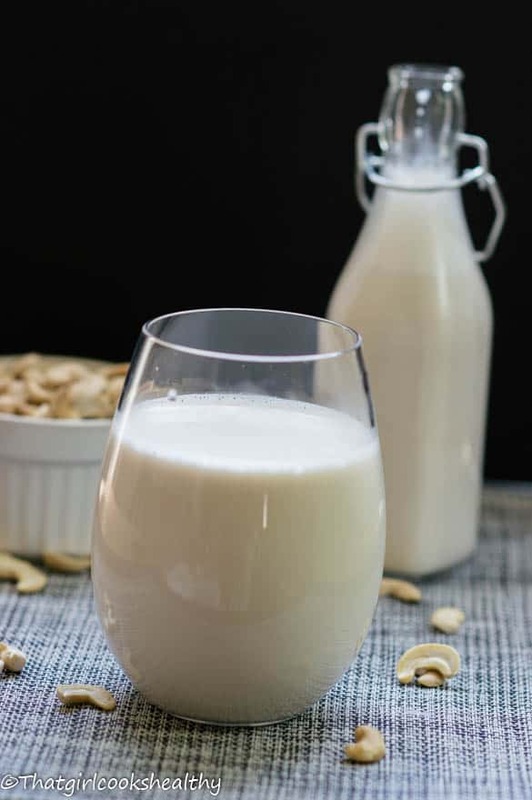 As far as I’m concerned, nut milk is the best thing out there, honesty I’m so amazed by the different variety of nut milk you can make at home. I’ve still yet try a few but my favourite aside from coconut milk has to be almond and homemade cashew milk. The reason why they’re my favourite nut milks is due in part to their rich and creamy texture. Since going dairy free I’ve never looked back I rotate the nut milks accordingly to my preference at the time and what I’m making. It’s actually quite a fun process once you get into the thick of it. From a health perspective, if you have the misfortune of being lactose intolerant (the inability to digest the sugars in dairy) or afflicted with irritable bowel syndrome plus those horrendous side effects, then going dairy free might something worth trying. People with auto immune disease have also found eliminating dairy can help to ease or even rid themselves of their affliction. The hormones from cows milk is often transmitted to humans via consumed, for some this can aggravated the immune system causing inflammation. Many parents have their own concerns about infant milk allergy and more often than not pediatricians recommend breast feeding mother to go dairy free to decrease the chance of the milk protein being passed from mom to baby. If you are suffering from any of the above, I strongly recommend giving nut milk a try. Start out slowly if you’re not used to it, just include some freshly made nut milk at first rather than going cold turkey. While you can buy cashew milk in the supermarket it’s so much more healthier and cooler to make your own cashew milk from scratch. It’s not over complicated at all and relatively simple, I can promise you that. All you need is a high powered blending such as a blendtec or vitamix, some raw cashews, filtered water (if possible) and a cheese cloth or strainer to eliminate any of the gritty bits. Once made it’s best to store in a sealed container and in the refrigerator. It should last for 3-5 days maximum. As you can see, there are many health benefits as well as unique ways to incorporate creamy cashew milk into your current lifestyle. and a favourite amongst the paleo crew. 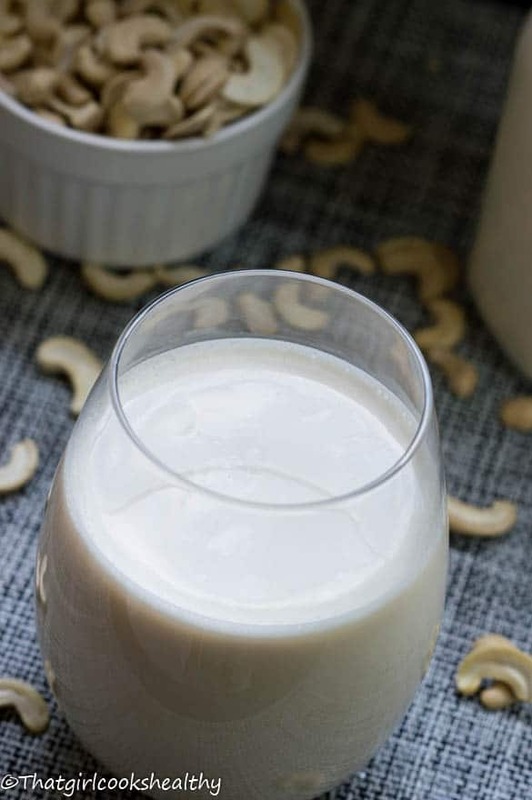 I love cashew milk, but I have yet to try making my own. Can’t wait to try this! Let me know if you like it Sarah. I would love to try this. Since am trying gluten-free recipes for my cousin these days. anything to swap it with?? You can try using sea salt instead. YUM! I am addicted to cashews. 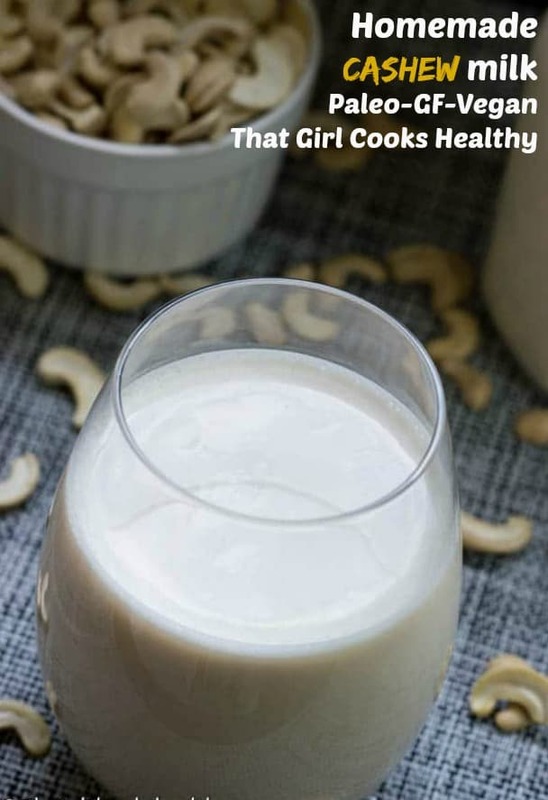 I love cashew cream, but have never tried making my own cashew milk. Not sure why cause this sounds so easy! Honestly, give it a try, you’ll never go back to the store brought kind. 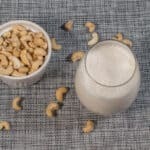 This looks so easy to make, I’m a huge fan of almond milk but I’m sure cashew milk is even better! I love both nut milks Jessica, I would say they’re both equally as tasty, do try it! Aww glad you liked my photography, I’m striving to perfect it. I hope you try cashew milk, it’s rich and creamy. I’ve made cashew cheese (loved it) but haven’t tried making my own nut milks yet, although I have made oat milk to use in smoothies. I’ve always thought these were modern inventions, but after researching a medieval recipe I learned that nut milks were widely used even back then, especially during times of fasting when dairy foods would not have been eaten. I feel like I learnt something new. I didn’t know that, I’m definitely going to conduct some research into that. I recently noticed that they are now carrying cashew milk in the store. It has lots of ingredients, I prefer to make yours. Thanks for sharing! Yes, there’s a huge variety of nut milks in the stores but homemade is better than store brought. Thanks a lot ! I make all kinds of milk for my kids but never tried this one . Gotta try this easy recipe . Hi Renee, lovely to hear from you as always. I’m always happy to receive feedback on my recipes and any adaptations are a learning curb for me, I will definitely have to try that when I purchase some maca next.